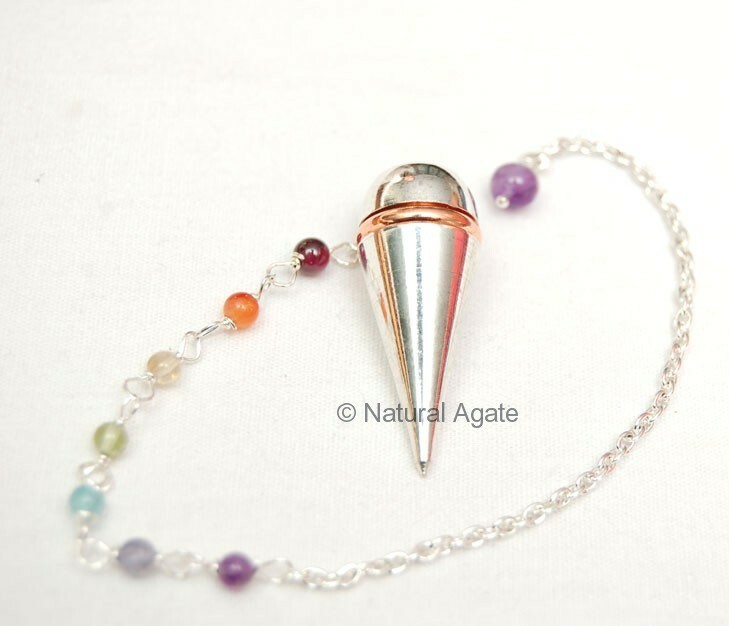 Silver Metal Chakra Pendulum has chakras stones attached on the chain. Rotate the pendulum around your body to detect and remove blockages from body, chakra and aura. You can buy this pendulum from Natural Agate.